We wash big ugly dogs, and little cute ones too! We use the best all-natural products on the market, Cloud Star. We offer Baths, Toenail Trims and De-shedding. (As of 5/1/2018, we are suspending “haircuts” as a service.) 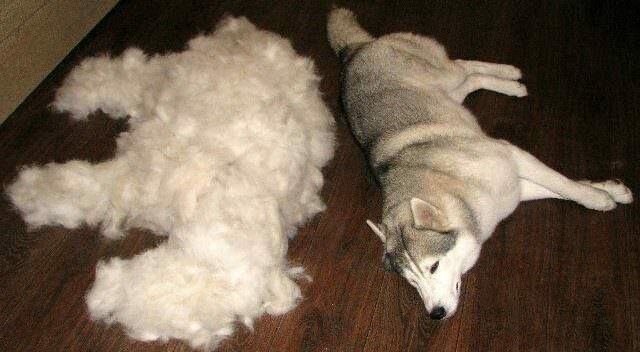 Our De-shedding process cuts shedding by 80% for a month. Please, call ahead for an appointment. We are very busy. Prices vary depending on the size and temperament of the dog, length of the coat and condition of the coat. Monday-Friday all grooming clients must drop off between 7am and 10am, Saturday’s between 10am and 12pm. We work on a “first in first out” basis. ***NOTE*** All dogs that come to Dog Daze for grooming are required to show proof of current vaccines(Rabies, Distemper and Kennel Cough/Bordatella) from a veterinarian. No exceptions. shedding by 80% for a month!